Ms. Xiang Li has been a fan of Rong Chen’s artworks for decades. Chen was one of the most recognized artists in Northern Song Dynasty (960 – 1279). His specialty was “ink dragons”, a technique which he used to express the power and prosperity of dragons. 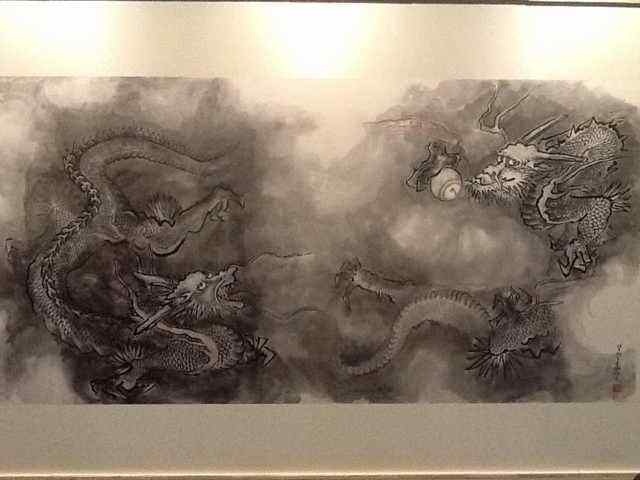 Most of the dragons he painted were done on high quality silk paper using “gong-bi” (meticulous painting style). 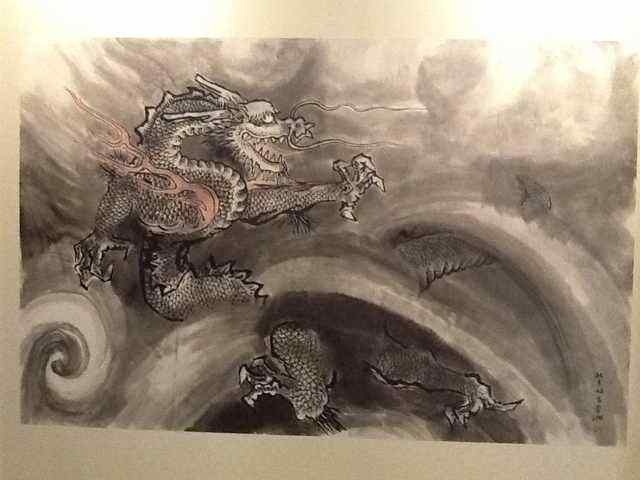 Chen’s signature work named Mystical Dragon (aka “Shen Long Tu” in Mandarin Chinese) was auctioned in Shanghai, China in 2011. The painting was sold for 32,000,000 RMB (~5.3 million USD). 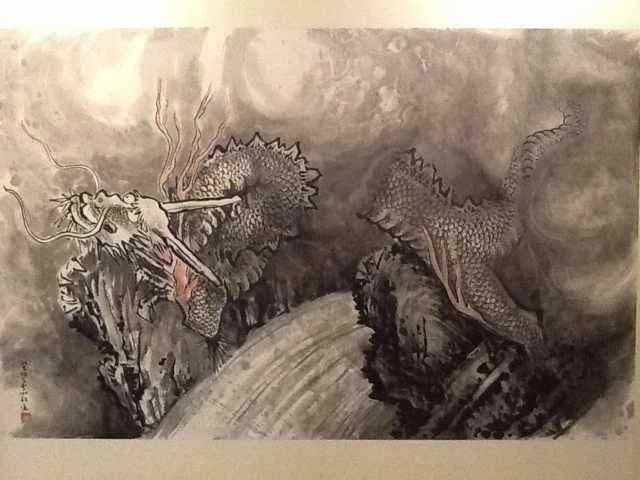 Inspired by Chen’s technique and the history of ink dragons, Ms. Li created a series of paintings for one of her clients in Shenzhen, China. We’d like to share these amazing works of Ms. Li with the art community on WordPress. The size of these paintings was significant: Li’s client has a large conference room to host these works. The paintings expand across the entire side of the wall. Extensive preparation went into the project prior to kickoff. In addition to this ink dragon collection, Li also had the opportunity to complete a series of scenery paintings which we’ll share with you via a future post. Thanks for stopping by and please share your comments with us!